Join OHS Landscape Group and other creative Landscaping Companies at this annual event! GET FREE ADVICE about Patios, Pools, Whole Property Garden Design, Deck and Fence Construction and more at this annual 3 day event. March 29 – 31 at The Kitchener Memorial Auditorium Complex. Always Friendly, we’re happy to answer any of your garden or landscape questions. The 2018 KW Home and Garden Show is coming! It’s an annual event and OHS will be there again this year! If last year was any indication, it’s going to be a GREAT show! Hundreds of Vendors, and thousands of Visitors! Come and visit us at Booth B328 in the Kiwanas Building. 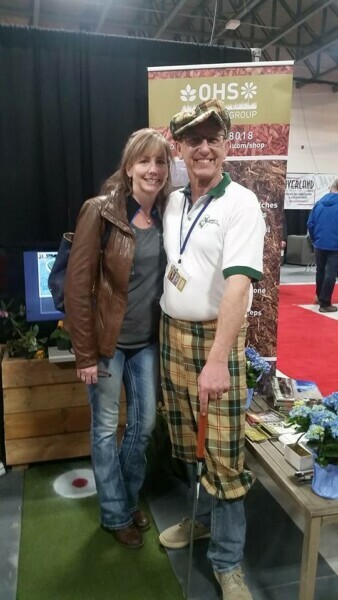 We’d love for you join us at the show and we’re GIVING AWAY 2 adult passes to the first TEN Homeowners who schedule a FREE Winter Landscape Design Consultation! That’s right… FREE ADVICE and FREE TICKETS to the show! Give us a call, or Schedule your Free Consultation Now. 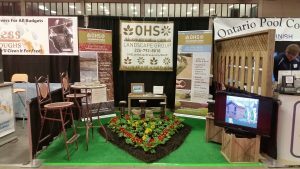 Join us at the 2017 KW Home and Garden Show! Stop by and see us at Booth 328, enter our free draws for a $100.00 gas card or a FREE Digital Photo Rendering ($250.00 value)!!! Like us on Facebook and relieve a discount up to $100.00 on any project booked during the show! We hope you’re as proud as we are to have our sign on your front lawn! Curb appeal and Water wise? Is it possible? No one will suspect that your eye-catching front yard requires so little water. Increase your curb appeal by employing design considerations that leave your neighbours envious! Also learn how to use suitable, attractive native and not so native plants that require less water, less time and minimal maintenance while further increasing bio-diversity and curb appeal. It is possible. Come and find out how. Registration is closed, but walk ins are welcome! 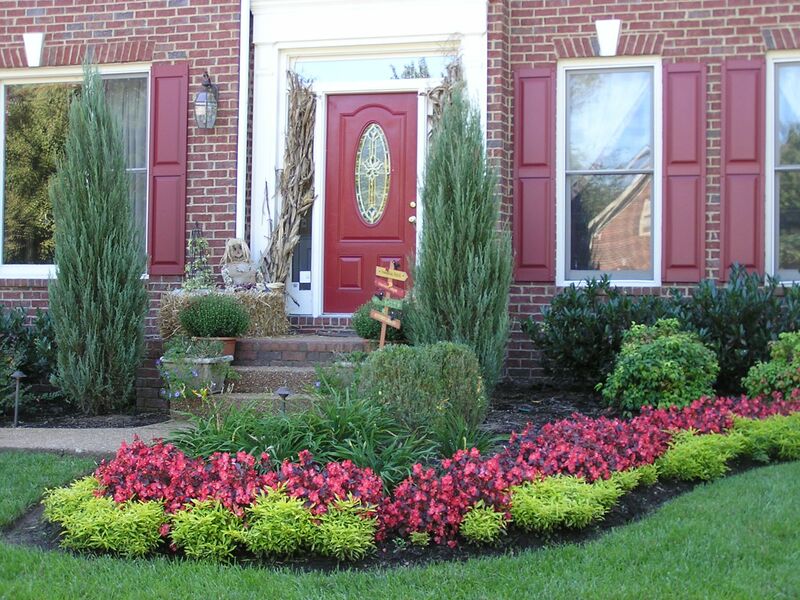 Learn about Curb Appeal at Canada Blooms! How can you increase it? Are there landscape techniques you can use to change it? Have you ever wanted to watch Master Gardeners compete in a fun and entertaining way? We’re not talking who has the nicest gardener or who gave out the best advice at the free clinics we’re always holding. This is about fun. 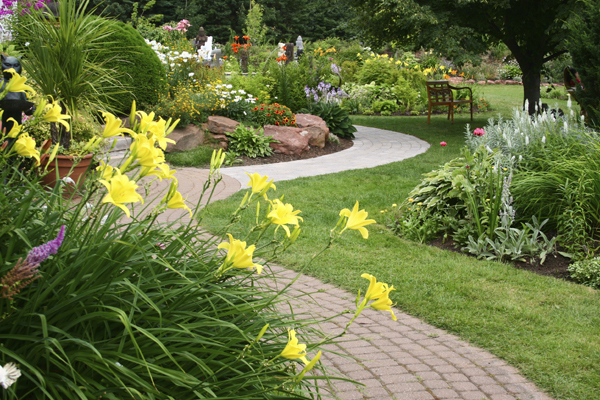 See if you can stump the master gardeners at this Years Canada Blooms. Watch as they’re challenged by people even smarter than they are, who can ask some very unique questions. Think Reach for The Top (from the 1970s) and you’re on the right track. See you there, Sunday March 18th and 25th at Canada Blooms. Come and see Grant at Canada Blooms, March 23rd at 11:00 am in the Master Gardeners Lecture series. 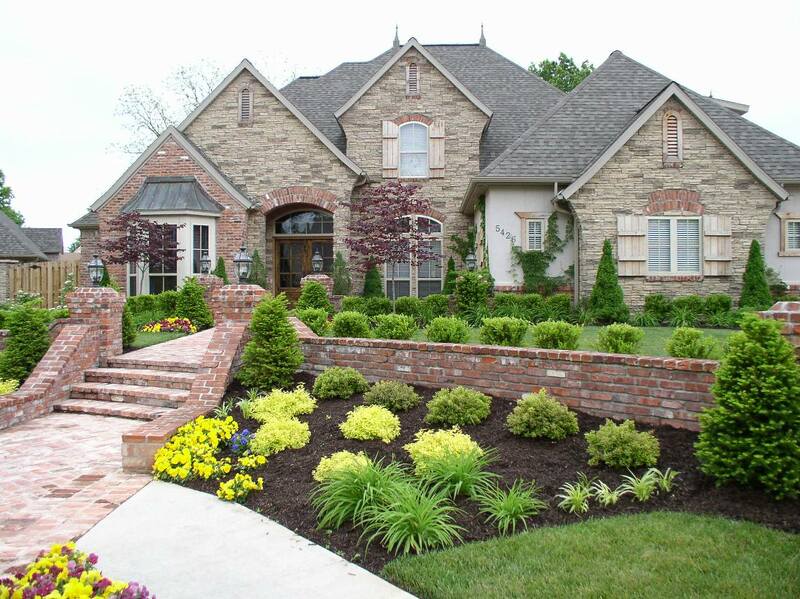 The topic for this years presentation is : Increasing Curb Appeal using various landscaping techniques. Please come and enjoy the presentation. It will be filled with images of successful installations, beautiful gardens, patios, and all things curb appeal. Admission to the presentation is free with your Canada Blooms entry fee. The warm days of winter? Winter. Many dislike the ongoing white bleak landscape outside our windows. Here’s the thing; Perennials, shrubs, lawns, and trees NEED a deep snow cover to keep them insulated over the cruel Canadian Winter. Insulation is vital for root bound plants to maintain their strength and show vibrant growth, produce blooms and to stay warm. With a winter like we’ve experienced in southern Ontario this year, a continual freeze thaw and above seasonal temperatures there are likely signs in your garden of heaving plants. Those planted during the late fall normally don’t have an opportunity to set roots before the cold season began. In any normal transition from fall to winter, plants go to sleep. This year however, and you may have seen it in your gardens, the ground didn’t really freeze or have any snow cover until late in December. So a mild fall may have given roots time to grab hold of the surrounding soil. Maybe. We won’t really know until spring. Bulbs especially need the cold temperatures. It leads to autumn dormancy. Upon receiving the early spring warmth, they convert the built up energy and burst forth with growth and reliable spring blooms. Those of you who left last years’ plant material in your garden will be looking to remove the refuse in the spring. Be especially careful this year as likely, shoots will have started and be close to, or at, the surface. Rake very gently this year. If you did remove the spent stems, leaves etc from your garden, without mulching may face an abnormal number of plants that will not perform as well as normal this year. How could they? They’ve been shivering all winter being exposed to the elements. 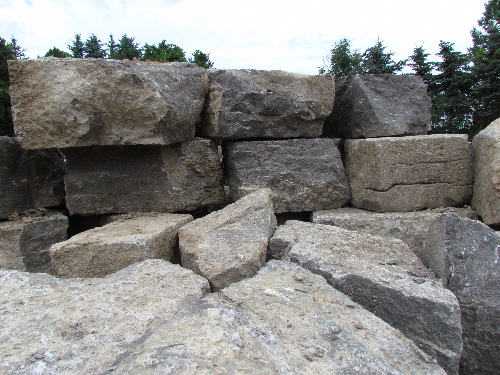 – For plants that have heaved due to frequent freeze thaw cycles require special attention. When the soil thaws, gently press the plants down to soil level to ensure roots have contact with the soil. 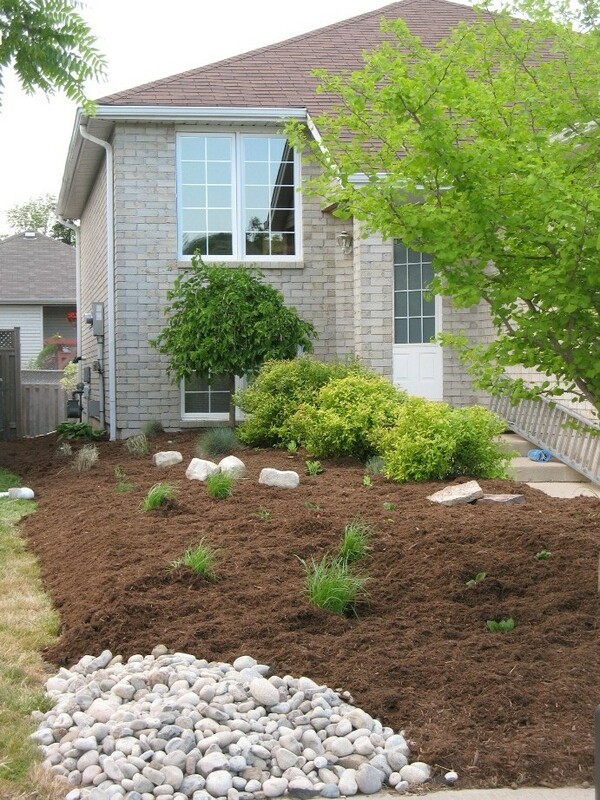 Mulch around these plants with decomposed leaves or a healthy covering of compost. Mulch will help to hold the plant in place. – For plants placed in beds late last year: Monitor their growth habits and if they have dies, remove them from your beds. – Mulch and Compost are even more essential this year. Be generous with the covering in early spring. With the warm days of spring finally upon us, now is the time to get outside and tidy up the yard, the gardens and address the various winter damage caused to your lawn. Enjoy this article I’ve written and find a few tips and tricks. 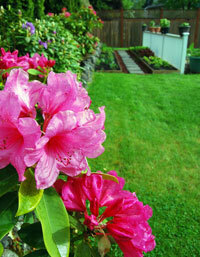 Simple Tips for Simple Summer Gardening. Psst… I’m a man and yes, I’m a gardener. There, I said it. Ask anyone who knows me and they’ll tell you that next to seeing my children become young adults, there are few things in my life that are as rewarding as the things I grow. Like you, my life is complex enough without adding work. Yup, I like simple things. The way the air smells after a thunderstorm, watching families at a park, and enjoying the fragrances and beauty found in one or more of my gardens. But simplicity lends itself to balancing the complexity of life. While I may love to garden, I tend to like to do it the easy way. That includes minimizing weeding hours, simplifying chores, and investing a bit of time in the spring so that a summer garden provides pleasure without all the work. There are a few tips that you can borrow from this lazy gardener that will help you reap the benefits and minimize the work all summer long. Let’s start with the tools: Secateurs, hand trowel, Tine hoe, and a sturdy rake. Before I head out in the spring, the first thing I do is make sure my clippers and my trowel are sharp. There’s nothing that says WORK quite like a pair of dull clippers. They’re easy to sharpen by running them across a grinding wheel or taking a file to them. A few one directional strokes, and cleaning out the stems from last year’s spent blooms becomes simple and efficient. Collect cut stems in big paper landscaping bags so they can become someone else’s compost. Save the small stuff we’ll gently rake out of the beds for your own composter. Soil testing is an important step both for new gardeners, but also for the experienced green thumb too. By knowing what your soils composition is (Sand, Clay, Loam or any combination of the three), it’s easy to amend, modify or enhance. And more importantly, we lazy gardeners like to know what we have so we can pick the plants that will work well within your garden. PH, composition, and suggested amendments are analyzed and included in most reputable soil tests. If you know what you have, you can change it, or you can live with it. It’s a personal choice. Getting an early start might seem like a lot of work, but removing those spent annuals, hosta leaves, and perennial stems at this time of year gets your garden to first base. Those stems harbor last years diseases and often last year’s pests. Do yourself a favour and eliminate possible pests early, before they become a problem later in the year. If you have a plant that gives your trouble, either help it to heal, learn to accept it for what it is, or take the easy way out and get rid of it. There is advice a-plenty available on line, from local garden centers or from Master Gardeners of Ontario Inc if you have any questions about pests and diseases and how to combat them organically. I like to keep track of what works, and what doesn’t work in my gardens. Sometimes I’ll plant seeds that do well, but other times they just don’t perform. I love blooms of all colours, shapes and textures. From the paper thin Oriental Poppies, to the more defined forms of snap dragons, and the bountiful bouquet of roses and Peony, I keep journals of what grows well, and where it does well. If it doesn’t fit, it doesn’t stay. By journaling, you can save the effort of planting what didn’t work last year. Did your wave petunias need constant watering last year? Even though they were beautiful, I spent way too much time pinching them back so their flowing stems likely won’t have a return ticket to my yard. Check the shed or garage for chemicals, fertilizers and the like that may be old, outdated, or even illegal. Herbicides and pesticides are banned in many provinces in Canada, and while they can simplify the eradication of aphids for example, I tend to use alternate methods. You guessed it, I scrap the bug infested plants for more beneficial plants that attract bees, butterflies and other pollinators to my beds. We all dislike weeds, but there are a few easy ways to eliminate their persistent re-appearance. Pull them before they flower, remove the seed heads if they do, and pull them out by the root if possible. Then get rid of them. April is a good time to pull out any that have hung around over the winter, and to kill off any seeds still in the soil (and some will last for 5, 10 or even 20 years in the seed bank), try a simple solarization technique. Remove the living weeds, then cover the area you want controlled with thin clear plastic sheeting. Keep it on the soil with rocks, or dirt, and after about 10 days of warm-ish weather, it will burn off those seeds up to a depth of 4”. Take the plastic off and you’re ready to plant into weed seed free soil. 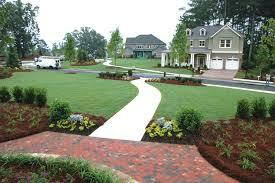 Most importantly, you will reduce your weeding time substantially. If you’re planning to work with a professional, contact them early to avoid being put on a waiting list. 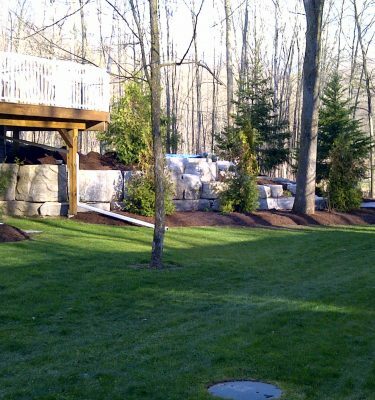 Spring is when landscapers, designers, and contractors get busy. The good ones are often booked ahead, so reserve your spot early to avoid disappointment. The warm weather WILL return, and a little work now will save hours of sweaty labour when all you really want to do is enjoy your garden. After all, a tall glass of iced tea, a cold corona, a martini and a summer garden are best enjoyed from a lounge chair. That’s where you’ll find me: Writing about gardens, planning and designing my newest client’s gardens, picking bouquets for the house, and enjoying my summer garden without all the work. Mention this blog entry and get 10% off the regular 4 hour service cost when you book your appointment. But hurry!!! Once the outdoor season kicks into high gear, the team at outdoorhomestaging.com will be busier than ever! The longest yard… is the first step to get buyers to consider your property! Mow and TRIM the lawn. Prune and clip the bushes. Weed the flower beds and apply a covering of colour matching Mulch*! Remove anything cluttering up the yard. Even little Jimmy’s tricycle! Clean the pool, garden furniture, BBQ, garbage can, etc. [/list] ALL these services are available from outdoorhomestaging.com and are included in the basic 4 hour package for just $249.99* Pool maintenance available** if you have all required hoses, vacuum and your water is chemically balanced. Don’t drive by, Drive IN! Get rid of oil stains. This can be accomplished in relatively short order, and we recommend that your driveway receive a coat of driveway sealer. Outdoorhomestaging.com has a driveway sealing company we work with exclusively who will do the work for you. Please inquire for details on this service. The little details mean a lot to the buyer. Replace missing shingles on the roof. Show the buyers you care about your investment and they will too! Welcome people at your front door. You may even want to repaint it but definitely make sure it’s clean and free of spider webs, clutter, and in spring, summer and fall, strategically placed flower pots, containers and tropical plants mean a lot to the buyer and higher sales potential for YOU. Repair broken windows and screens. Need we say more? Paint window and door frames and anywhere else paint is flaking. Remove political or other symbols, such as flags. Alienation of buyers not familiar with, or with the same stance is like saying as a liberal, you won’t sell to conservatives! That isn’t true, right? 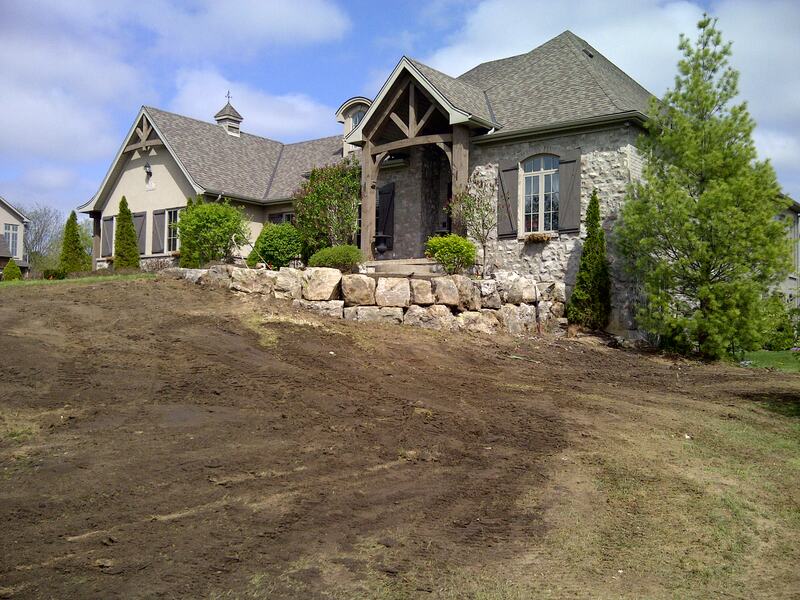 Through its maintenance professionals, outdoorhomestaging.com will take care of these details. We know you don’t want to climb on your roof, but buyers will use a missing shingle as a way to lower their offer price. THAT’S a BAD thing!